Before I worked in the bike industry (a mere one year ago), I was of the view that if you wanted to buy a road bike then your focus should be on the gearing of the bike, but the more I learn about road bikes, the more I realise that the frame is far more important than the gearing which plays a secondary role. Just like many road bike buyers, when I bought my current carbon-framed bike I used the level of gearing on the bike as the key determinate. I first decided whether I wanted an aluminium or carbon frame and then I decided that I wanted Ultegra level gearing or better. Once that decision was made, I set about developing a short list of bikes that met this criteria. I also decided that I wanted to buy a women’s specific bike. You can read more about this topic in a couple of previous blog posts I’ve written. But back to the frame. Just to give you an example which concerns a friend of mine (a male friend). He cracked his carbon bike frame recently. Lets call the brand M. I believe the frame had a manufacturing fault and over time the weak point gave way and it literally snapped and tossed him off, just behind me on a weekend ride. I’m not the only person who has come to this conclusion. 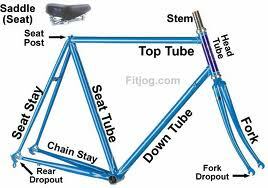 In May 2011, Triathlete magazine provided the following advice to one of it’s readers: When it comes to how your bike fits, rides, handles and reacts, the frame is the most important physical part of the bike. The frame is also usually the most expensive part of the bike and the most involved to replace. Buying a bike with the right frame the first time can not only help you enjoy the benefits of a better riding and performing bike now, but can also save significant money down the road as you will only need to buy some new parts, instead of buying a whole new bike, to upgrade. In the greater scheme of things, individual components are relatively easy to upgrade at the time of purchase or down the road. I’ve never heard of a race being won or lost because one rider had Dura Ace or Red derailleurs and another did not; if higher average riding speed is the determining factor, a better frame or wheels will always trump the difference between component levels. So I’m not suggesting you rush out and buy an expensive carbon frame and then fit it with Shimano Claris gearing. However I am saying that if you did do that you’d have a better bike than if you bought a cheap poorly engineered carbon frame and fitted it with Shimano Dura Ace Di2. So when you’re shopping for a bike put most of your focus on the frame and the rest will follow. Buy the best frame quality you can afford and you can’t go wrong.